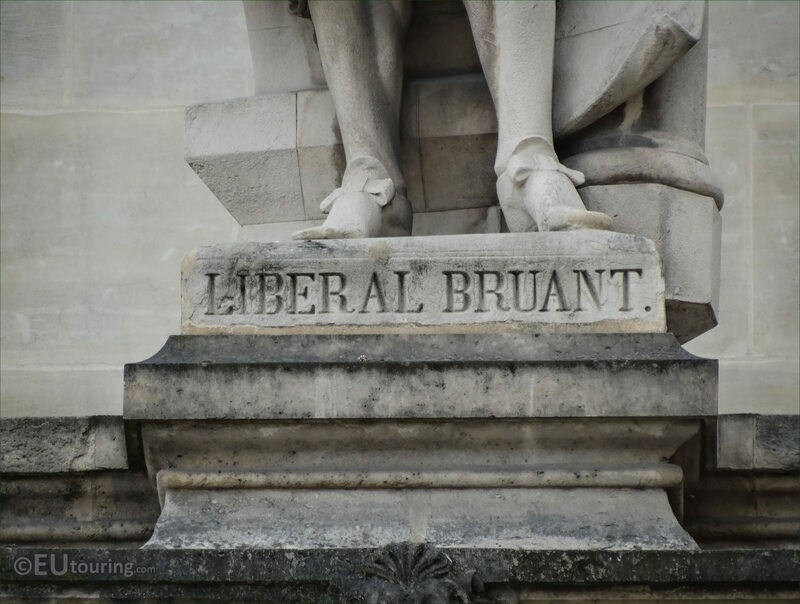 This time while we were walking around the courtyard of the Musee du Louvre called the Cour Napoleon, we took these high definition photos of one of the statues located on the Aile en retour Mollien, and dedicated to Liberal Bruant, this is located on the first level balustrade facing towards the Cour du Carrousel in the 1st Arrondissement. 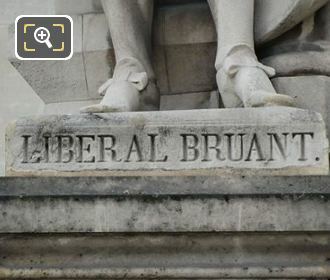 Now in this HD photo sculpture you can see the full statue of Liberal Bruant, which was produced by the French sculptor Francois Christophe Armand Toussaint, normally known as just Armand Toussaint, and he was born in Paris in 1806, passing away in 1862, only five years after this statue was put in place on the Palais du Louvre. 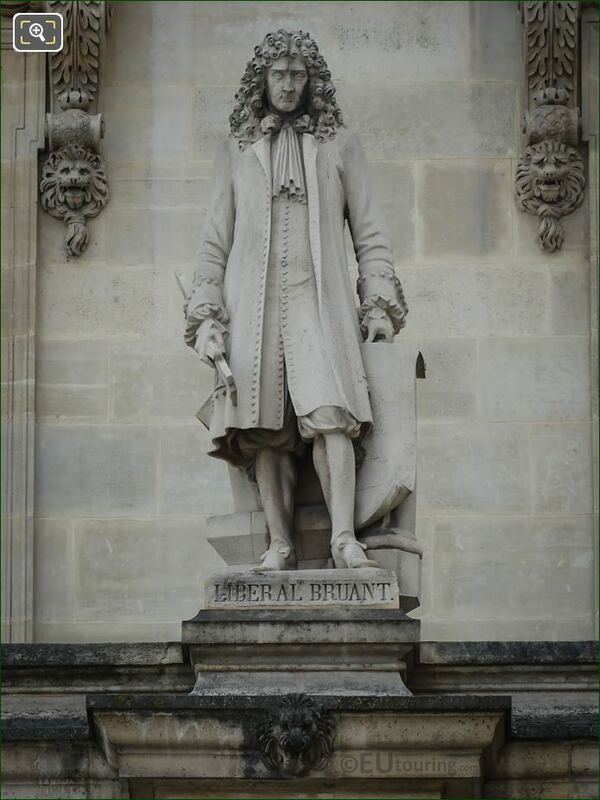 And in this close up photograph you can see the plaque at the base of the statue that is dedicated to Liberal Bruant, sometimes spelt Bruand, who was born around 1635, and became a French architect, best known for being the architect of the Hotel des Invalides along with Jues Hardouin Mansart, plus he was to became one of the first members of the Academie Royale d'Architecture, which was created by King Louis XIV.